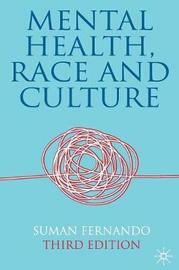 This powerful text offers a unique analysis of the impact of race and culture on contemporary issues in mental health. Drawing on extensive international experience, Fernando challenges the traditional ideas that inform practice in clinical psychology and psychiatry in order to promote new and alternative ways of thinking. 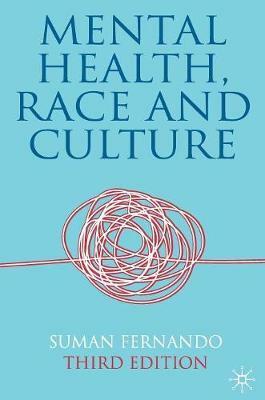 Covering both theoretical perspectives and practical implications, this insightful text discusses perceptions of ethnicity and identity, compares practices around the world and looks at racism in mental health services. This fully revised, expanded and updated edition of a seminal text offers students and practitioners alike a comprehensive and reliable study of both western and non-western psychiatry and mental health practices. SUMAN FERNANDO is Visiting Professor in the Department of Applied Social Sciences at London Metropolitan University, UK,and Senior Lecturer atthe European Centre for Migration and Social Care (MASC), University of Kent, UK.He was a consultant psychiatrist for over twenty years in the National Health Service and is involved in non-governmentalorganisations in the UK and abroad. He has written and lectured widely on mental health development.